"It's not very often that you feel like you kind of get a second chance at life," says 22-year-old Blair Bursey. 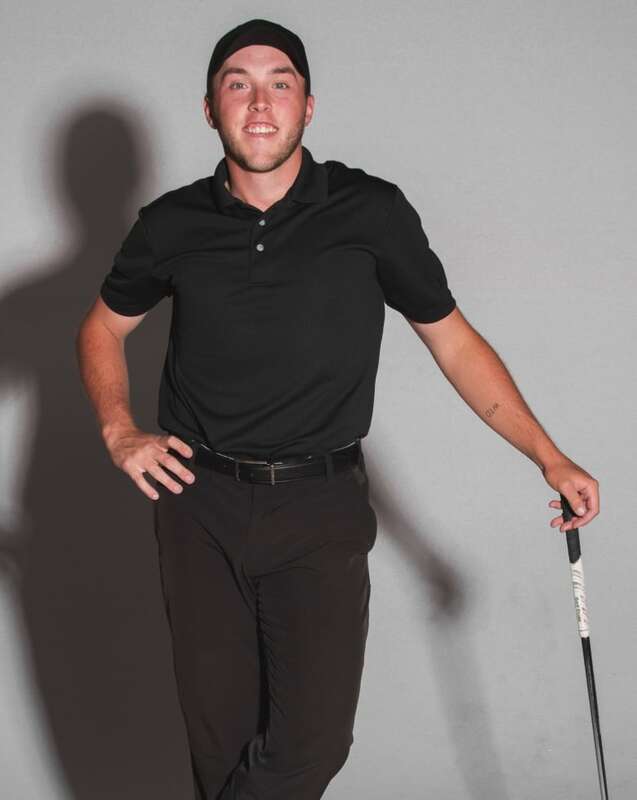 It's all fairways and greens for Gander golf pro Blair Bursey after the 22-year-old made his return to the links in Arizona after a few rough months of battling a potentially life-threatening illness. "It was quite the scare, and pretty surreal. But, definitely glad to be on the other side of it," Bursey told CBC Radio's St. John's Morning Show. "I was in the early stages of going of going septic, so I would have passed away probably in the next day or so is what they told me. So, I'm very, very lucky and it's not very often that you feel like you kind of get a second chance at life." Bursey had been experiencing stomach pains during his trip home to Gander for the holiday season, and after three emergency room visits and a diagnosis of diverticulitus, he went under the knife and spent nine days in a hospital room. 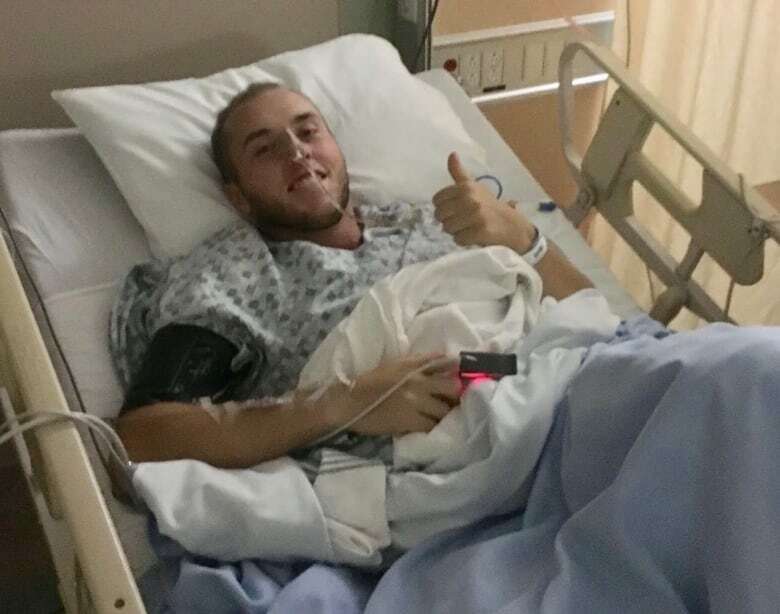 As a young athlete who turned pro in September, Bursey said golf was the last thing on his mind after waking up from his surgery on Christmas Eve. "I knew eventually I would get there, but all I wanted when I woke up was a glass of water. I wasn't able to have one," he laughed. "Really, I was taking in all my surroundings, and checking out my new hospital room and checking to see I was still there." Bursey said recovery was a slow process. The itch to swing the club again began to grow as each day he was feeling better. On Feb. 1, he hit his first "tiny" wedge shot. "I'm lucky, my place in Gander I kind of have an unfinished basement. So, I was able to set up a net down there and do a little bit of training," he said. "That was kind of like therapy in and of itself." Bursey has been back in Phoenix for a little over a week and is just getting his feet back under him, he said. After three months away from the tee box he said his game is a little rusty, and he's working on shaking it off to start climbing the competitive ladder again. Bursey wants to go even a step further and get even better at the game than what he was before his surgery. "I want to do some big things this year, and going forward with my career. So, I'm trying to get a little better each day and I'm down here training ... It's a good environment down here," he said. The next five weeks will consist of more training in Arizona, preparing for the PGA Tour Canada Q-School this summer, which are qualifying tournaments for the PGA Tour. 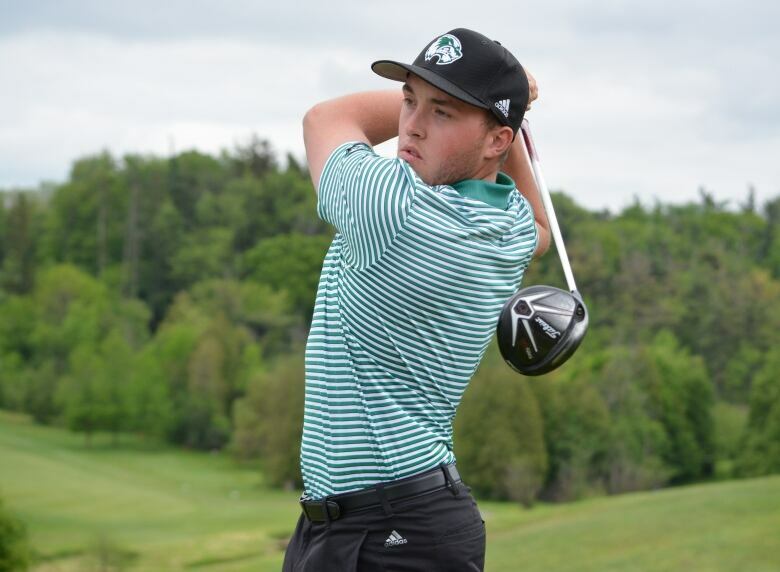 After that Bursey will travel to Europe to do the European Tour Q-School in the fall. "I'm kind of all in for the next three years, for sure," he said. "I'm going to do everything I can to make it to the big stage, and progress isn't always linear and you never really know what's going to happen ... I'm just going to give it my effort every single day and I'm looking forward to where that will take me." In his first full round back in action, Bursey shot a 67.